Nicole Kidman, Rachel Weisz and Timothée Chalamet will be honored next month at the Hollywood Film Awards. Kidman, a multi-award-winning actress known for her fearlessness and intelligence, will receive the Hollywood Career Achievement Award during the ceremony. Weisz and Chalamet will receive the Hollywood Supporting Actress Award and Hollywood Supporting Actor Award, respectively, at the Hollywood Film Awards. 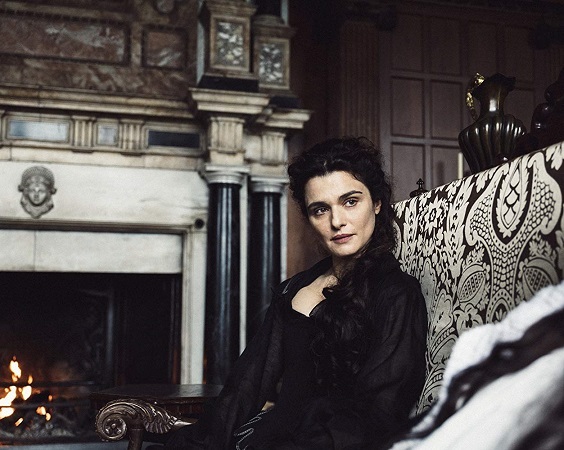 An Academy Award winner, Weisz (“The Constant Gardener,” “The Mummy”) will be recognized for her role in Fox Searchlight’s “The Favourite,” a festival breakout. Yorgos Lanthimos’ “The Favourite,” also starring Emma Stone, Olivia Colman and Nicholas Hoult, premiered to rave reviews at the 2018 Venice Film Festival, Telluride Film Festival and New York Film Festival and will be released by Fox Searchlight on Nov. 23. She recently produced and starred in Sebastián Lelio’s “Disobedience” alongside Rachel McAdams and Alessandro Nivola. The film, which is based on the novel by Naomi Alderman, premiered at the 2017 Toronto Film Festival to rave reviews, was released by Bleecker Street in April, and releases in the UK on Nov. 30. Chalamet (“Call Me By Your Name,” “Lady Bird”) will be honored for his for his critically lauded portrayal of Nic Sheff in Amazon Studios’ “Beautiful Boy,” directed Felix Van Groeningen, in select theaters this month. “Beautiful Boy,” based on the memoir “Beautiful Boy” by David Sheff and the book “Tweak” by his son Nic Sheff, chronicles the heartbreaking and inspiring story of survival and recovery in a family coping with addiction. Also, Chalamet is currently filming “Little Women” with director Greta Gerwig and this spring will star in “Dune,” directed by Denis Villeneuve. Chalamet recently wrapped production on “The King” which will be released in 2019. The Hollywood Film Awards, honoring the most acclaimed films and actors while previewing highly anticipated films and talent for the upcoming year, also acknowledges artists in the categories of Cinematography, Visual Effects, Film Composing, Costume Design, Editing, Production Design, Sound and Makeup & Hairstyling. In its 22-year history, more than 320 of the world’s biggest stars and filmmakers have been highlighted at the Hollywood Film Awards and more than 130 of the honorees have gone on to garner Oscar nominations and/or wins. Additional honorees for the 22nd Annual Hollywood Film Awards will be announced in the coming weeks, according to a news release.